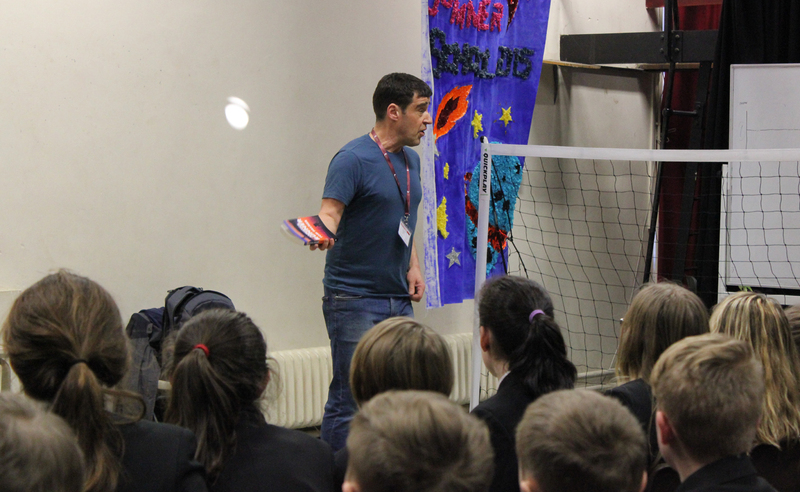 CHILDREN’S author Tom Palmer was welcomed to high schools across Rossendale thanks to a reading initiative led by Fearns Mrs Humphries was delighted when the prolific author accepted the invitation. 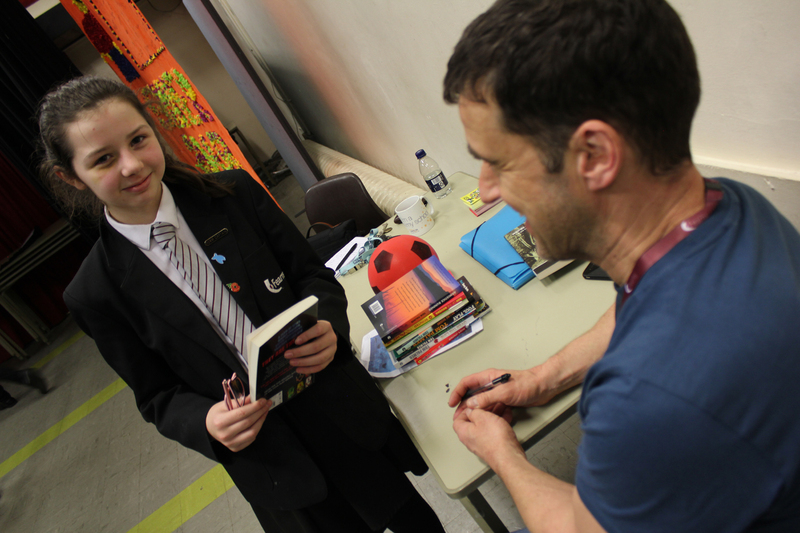 He has written 58 books in total with all but 10 being printed.At various high schools in Rossendale he discussed his work and was delighted to answer the pupils’ questions and inspire budding authors. 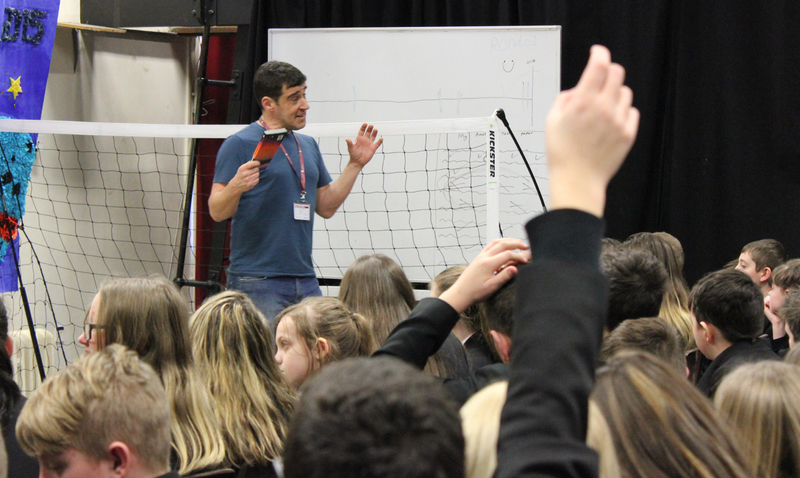 Pupils at the school quizzed him about how long it took to write his novels and he explained if it was a subject he knew it took a couple of months to pen 20,000 words, but a book requiring research could take eight months. He said: “My favourite book is Wuthering Heights set on the moors not far from here and my first book I had published was Foul Play. Tom described his publishing deal as ‘luck’ as he had a manuscript rejected 20 times before a friend suggested a fellow Leeds fan might publish his work - and he did. Tom explained how he can write up to six hours a day and when he goes to a talk and takes the train, he also writes while he is commuting. Harley Purcell, 13, was delighted to be able to buy a copy of ‘Armistice Runner’ and get it personally autographed. 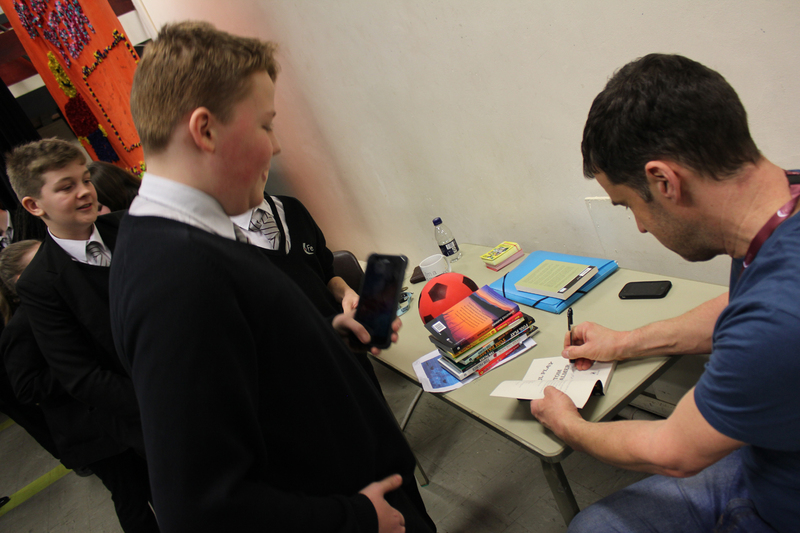 In the summer pupils read chapters from his new book that he wrote as the football World Cup was being held.